Posted by dobie on January 1, 2015, 5:13 pm, in reply to "Re: Tenacatita"
Unfortunately last night the gate to Playa Mora went up again and people who were planning to have a campfire on the beach to bring in the New Year were not allowed. But the marina will be back (if they haven't been already)and right now Villalobos' security guards are in violation of a federal order. Due to the holidays, there are less personnel in government offices and less police available, so it may take a few days. By the time I left around noon, some cars were able to drive over to Playa Mora, unload people, ice chests, etc. and then bring the vehicle back over to the other side to park. Although some people have won their lawsuits and have been given their property back, they haven't been able to take possession. These are all outside of the 42 hectares. Until the issue of the concession is settled, nothing can happen on the beach in terms of restaurants, businesses, etc. Hopefully that will be resolved soon. A representative of PROFEPA (the judicial arm of SEMARNAT - the "environmental protection agency") went to the beach a week or so ago, undercover, and experienced first hand how the security guards try to intimidate people. 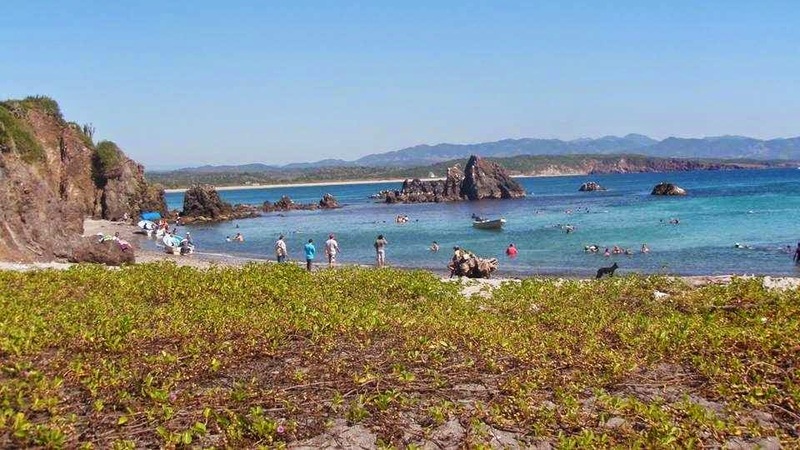 They reported back that there in fact wasn't free access to the zona federal, that the beach wasn't open 24 hours a day, and that the guards were very disrespectful and were overstepping their bounds. One of the first things the marina did was take all the weapons from the guards except for two who have legal permits for their pistols. Having PROFEPA step up for real, finally, is very heartening. A positive way to start the new year. Yesterday Bette and I asked someone in the know if there was any new news on the situation in Tena as I heard the president of the municipio was around, and he doesn't come around very often. The person winked at me and said "banate ahi en Tenacatia alredador de las 11 en la mañana." I was pretty sure something good was going to happen, but not quite sure what. When Bette and I arrived at the beach, about 11:15, we met with Chile, Norm and Vi. We had given Chile a heads up about what we heard and he had gotten there on time, and at that time there was nothing new. We arrived a little late and when we arrived there were armed soldiers present from the Marina. Anyway, I said Bette and I are going to see if we can't take a walk down the 4 year closed road and see what they say. I asked one of the corporate guards if we could take a walk down the road and he told me as always that I couldn't, only on the beach. I ignored him and asked one of the Marina (federal Mexican Navy guys) if I could take a walk down the road, and he said "Si señor, todo la playa y el camino es libre, es zona Federal y es abierto al publico". Well my feet, that had know every pebble on that road for 35 years and hadn't been allowed to stub a toe on any of those rocks for the last five said "Please give a good stubbing." The five of us took a walk down the road and let me tell you, it was sabrosisimo. When we were walking, some ejido members were driving down in a truck, another first. 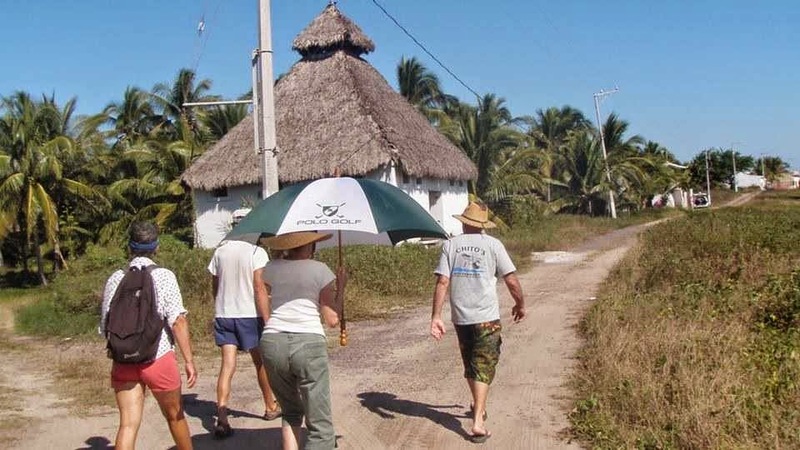 Upon return some members of the Ejido informed us that they opened the gate to playa Mora and had sent someone for hacksaws and wrecking bars to remove it permanently and suggested that as tourists, it would be a good idea to drive over to Mora in my truck. The five of us loaded up and away we went con rumbo a playa Mora. When we got to the kiosk where one of the corporate guards, whose vocabulary consisted only of the word "NO" for 4 years, stopped us, I said we are going to playa Mora. Instead of "NO"' he said"Pasa te jefe". This is hot off the presses and there will be more coming, but one thing I can tell you is that we'll be celebrating New Year's Eve on Tenacatita beach, where nobody will fck with us! Big time THANKS go to the tough and tenacious people of Rebasito who never gave up in a David and Goliath fight.